NarniaWeb Community Forums • View topic - Who should play Jadis, the White Witch? Who should play Jadis, the White Witch? Since Narnia on Netflix is very likely to begin either with The Lion, the Witch and the Wardrobe or The Magician's Nephew, one character we can hope to see cast relatively soon is Jadis, the dreaded White Witch of Narnia. Who should play her? I'll get the ball rolling: I haven't seen much of her work outside of 2005's Pride and Prejudice, but I think Rosamund Pike could be a good choice. She's 5'9" and can have a very intimidating look about her, imo. She's usually blonde, though, and I would hope they would give her black hair for the role; more in line with the book illustrations and more removed from Tilda Swinton's interpretation. Re: Who should play Jadis, the White Witch? Now, bare with me on this one. As I'm editing some stuff together, the White Witch for me at the moment is Emily Blunt. I know. I know. She has already played a character quite similar to the White Witch when she played Freya in The Huntsman: Winter's War (2016), but it's just a suggestion. I will probably think of more realistic suggestions as we get closer to production. I think Emily Blunt could be good, but I imagine the people at Disney would be somewhat horrified if she played one of the most notorious villains in children's literature after portraying Mary Poppins... they might pay her to not play the White Witch. I also wonder if she'd want to take on another ice queen role after already playing one previously, but from what I can tell (at least from Wikipedia's summary of Winter's War) Jadis is a pretty different character. I'm not sure if racial origin was ever an issue in casting, but I was just thinking that even though one might imagine Jadis being white (in a double sense ) it might actually add something to cast someone of, say, Asian origin. (If the actress had straight black hair she would better resemble the Paulinr Baynes illuatrations). We don't have to assume that Jadis is white; after all, she is of a different race than the Narnian humans. I'd thought of that, particularly since she's originally from Charn. My concern would be that if she was anything other than Caucasian, there would be all the obnoxious racism concerns. Maybe she can be green-skinned in MN and then turn white for LWW. The Rose-Tree Dryad wrote: I think Emily Blunt could be good, but I imagine the people at Disney would be somewhat horrified if she played one of the most notorious villains in children's literature after portraying Mary Poppins... they might pay her to not play the White Witch. I also wonder if she'd want to take on another ice queen role after already playing one previously, but from what I can tell (at least from Wikipedia's summary of Winter's War) Jadis is a pretty different character. I couldn't agree more that it would be a long-shot if Emily Blunt was to be cast, but maybe her character can be used as inspiration? I did some research and found some concept art that was made for the character of Freya in The Huntsman: Winter's War and it looks sooooo good! I don't know who could play Jadis and do her justice. Tilda Swinton is great, but she did not come close, I'm afraid. I do strongly believe that whom ever is cast to play Jadis HAS to be very physically frightening. An actress of shocking height and physical strength. That's how I view Jadis: She's not human. She's not a woman. She's a monster. In a very beautiful human form. I feel that previous actresses who played Jadis were charming and scary in their ways, but were never really intimidating enough to feel like a plausible threat to Aslan's followers. Or worse yet, their portrayals made Aslan Himself less impactful as a character. In the book, Aslan is the only being that frightens Jadis. But Tilda Swinton's Jadis is not afraid of Aslan, so it hurts His character's impact in that movie. But there still needs to be something about the actress who plays Jadis, that makes her the figure that a child's nightmares are made out of. Dare I say, a Wolf in Queen's clothing? It's a VERY tough role to cast. fantasia wrote: Maybe she can be green-skinned in MN and then turn white for LWW. We absolutely can't have Jadis linked with the other Green Witch (LOTGK). Here's our chance to get away from misplaced greenness (mist or otherwise). My first thought was Daisy Ridley (https://www.google.com/search?q=daisy+ridley&tbm=isch&hl=en-US&tbs=isz:l&prmd=niv&rlz=1C9BKJA_enUS823US823&hl=en-US&ved=2ahUKEwjoyMaojt_gAhX4ATQIHc38DagQlJcCegQIARAE&biw=834&bih=1003#imgrc=7lUEI47rKkVP2M) but I don’t know if she can carry that kind of power and intimidation in her performance. I personally think the actress should be younger in this portrayal and I can see Rosamund Pike being the perfect age. Someone young and twisted (morally speaking) is always more frightening to be than someone old and twisted, I think. I understand the concern of racial backlash if she is the only non-Caucasian humanoid, but there are other ways to separate her from the others. Very minor physical alterations, like the humanoids in Star Trek (but much more subtle!). Also, they should find a way to make her taller and more physically powerful in appearance, unlike Walden’s version (though I do think Tilda did an excellent job). Elizabeth Debicki is 6'3". Her most well-known roll was in Guardians of the Galaxy 2 as Ayesha, the high priestess of the Sovereign race. I'm not saying she is the best person for the role, but she is tall, has played a villain of sorts, has good screen presence, and is not well-known enough to demand a giant paycheck. Rambling Ever On - The Best Website You Have Yet to Discover. Funny that both your choice as Australian ladies. I think Alyssa looks amazing! Apparently I've seen her in The Devil Wears Prada, but I have no memory of her or her role. Elizabeth Debicki, when I see her without all the gold makeup, makes me think a bit more of the Lady of the Green Kirtle (though I don't think of that character as "tall"). I hadn't given Daisy Ridley any thought before your mention of her, Monty Jose, but I think she's an interesting possibility... her portrayal of Rey often has a fierceness that I can see her utilizing for Jadis. She's a bit short compared to some of the other ladies that have been suggested, but camera angles and CGI can do a lot. I hadn't heard of Elisabeth Debicki before, Phill Lytle! Her height is definitely to her advantage. I do agree with Fantasia that her looks are a little more evocative of the LotGK rather than the White Witch, but I can see her working for either character. With black hair and unnaturally fair skin, she would look a lot more intense. Ooh, I remember you suggesting Alyssa Sutherland for the LotGK, Anfinwen, and I thought she looked far too fierce for that role, but that fierceness is perfect for Jadis... and I totally agree with you about the unique architecture of her face. Definitely has an otherworldly look to her. 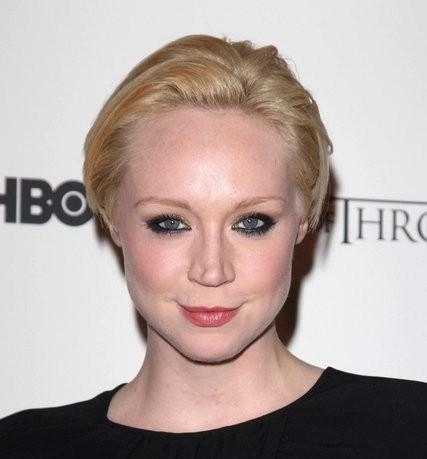 Speaking of tall ladies, what about Gwendoline Christie? She's 6'3" and is well versed in swordplay from her roles in Star Wars and Game of Thrones, so she can definitely bring the physical power. I can't really speak to her acting ability because I've only seen her as Captain Phasma, though. I’m liking the fact that these last few choices are actresses with unique features. It makes me think of the moment when Digory and Polly disagree on whether or not Jadis is beautiful. I’ve only seen Elizabeth Debicki perform, though from these photos I feel like any of them could potentially carry the proper ferocity needed for Jadis. Again, I don’t want a shrieking Witch. She needs to be cold, yet fiery when necessary. Hopefully that makes sense. I have been looking through actresses and I found a few I really like. They all have very different looks but, considering what they were in recently I think they could do very spectacular perfomances as Jadis. All of them have thick accents that I think would go nicely with the role. Cate Blanchett would be my #1 choice but I'm not sure how realistic that would be. If we went with someone younger, what would you all think of Elizabeth Olsen? Or Yael Grobglas? @Eustace, I really like your recommendation of Rebecca Ferguson! She is one of my favorite current actresses (she was wondering in The White Queen mini series) and I could totally see her being The White Witch!